Australia’s food manufacturers should be taking more of a lead from the liquor industry’s capitalisation of the cellar-door experience, writes Adam Joseph, who compares the old family road trip pit-stop ‘The Oak’ to recent work by dairy newcomer Pepe Saya Butter Co.
At the turn of last century, the grand old Oak milk factory at Hexham, near Newcastle, New South Wales, occupied a site of almost unrivalled marketing potential. It sat on what’s now the junction of the Pacific Highway to Brisbane via the coastal route, the New England Highway and close to the northern end of the Pacific Motorway. The site appears in photographs of the time as a scene from Pleasantville. A network of new buildings, set among manicured lawns behind a white picket fence, abuzz with gleaming new milk trucks transported fresh milk in and packaged goods out. Its backdrop, a wide expanse of pasture continually grazed by dairy cows, reinforced the obvious. To say the Hunter Valley Dairy Co-operative took advantage of this key location would be an understatement. They established a large milk bar and take-away food complex, known as ‘The Oak’, to serve locals and longer distance travellers waiting to cross the Hunter River by punt. As traffic levels grew after World War I, Hexham became a bottleneck for road traffic, and eventually the first two-lane bridge was opened in December 1952. However, that was not before the Oak milk factory site had enjoyed decades of patronage by family road trippers who had stopped there on their annual summer road trips up the East coast. A generation of baby boomers and their parents associated milkshakes at The Oak with fun, sun, surf, and quality family time. By the 1980s the factory on the southern side of the Hexham Bridge was a hive of activity, producing ice cream, yogurt, flavoured milk, custard, and a range of other packaged dairy foods. Building on its success as a tourist trap, the factory also conducted guided tours of its manufacturing plant and processes. The tours were mostly school excursion groups, but there were also mothers’ clubs as well as bus tours that went as far as cooking demonstrations using the company’s goods, and a dining room supplemented the site’s iconic milk bar. Hundreds of schools had sent groups to the Hunter Valley Cooperative Dairy Company by the 1980s. Photographer Peter Smith has produced a series of images of life at the Hexham manufacturing plant, as well as other Oak-branded milk bars. Today’s teenager might grab an Oak flavoured milk at a service station because they’ve seen the brand emblazoned on a Penrith Panthers footy jersey. But they’re just as likely to reach for a Moove, Dare or Ice Break without any thought to provenance nor pang of nostalgia. A young Oak Milk consumer today knows little if anything about the company’s heritage, its engagement with farmers, its commitment to ethical milk, or what passion (if any) goes into its products. As a business acquired by multinational FMCG Parmalat in 2009, Oak’s decision to discount the brand’s provenance seems in stark contrast to other dairy manufacturers like Bega Cheese and Murray-Goulburn Co-op. Other beverage brands like Bundaberg Brewed Drinks are experiencing growth in a declining sector, largely driven by a consumer desire for authenticity. Global megatrends research from Datamonitor from April 2016 indicates one of the eight key global megatrends shaping the consumer marketplace within the FMCG industry is ‘sensory and indulgence’, namely driving expectations of quality and variety. That research reinforced the importance of immersive consumption experiences to create value in consumer buying behaviour. unsuitable factory layout, geared solely to production efficiency. 17 minutes’ drive from the new Oak Milk factory in Sydney (which is closed to the public) is another dairy production facility that is embracing industrial tourism. And that has contributed to a 100% growth in sales in the past year. 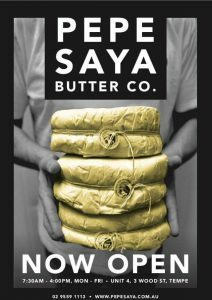 Australian cultured butter brand Pepe Saya is showing that brands that embrace experiential marketing are reaping rewards. 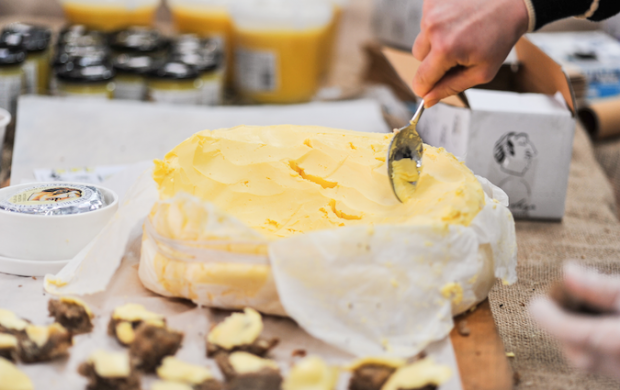 The business has leveraged its presence at farmers’ markets, events, inclusion on the Qantas menu, and now factory tours as part of a hugely successful brand strategy. Five years ago Pepe Saya did not have a Facebook page. Now, as it surpasses 15,000 Facebook fans, it’s important to see how this was achieved. 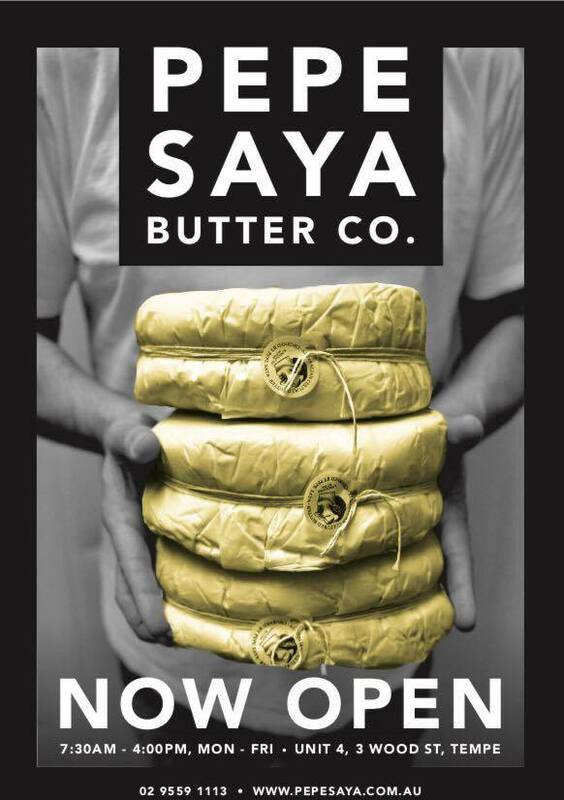 It built enormous brand recognition through a Tropfest film made by Qantas about the company and its butter supplier. ‘Our Australia’ New South Wales from Toby Morris on Vimeo. And its foray into content co-creation (a wonderful web video also featuring Ozharvest, Brasserie Bread and Dessert Makers) allowed all brands to leverage each other’s social audience. Oz Harvest Bread and Butter Pudding Challenge from FOOD WINE DINE on Vimeo. But its mainstay, using growing interest in boutique, artisan, hand-crafted food, and giving consumers insight into the production process has been consistent throughout. That has encouraged Pepe Saya this year to move beyond farmers’ markets, food festivals and special events. For all the drawbacks associated with factory tours, they offer far more in return. Factory tourism offers a deeper connection with brand; moving consumers along the disposition funnel from ‘loyal consumer’ to ‘brand advocate’. The selfies taken by factory tourists tell a story of a manufacturer as open and transparent as it is professional. While the concept couldn’t be better understood than by Australia’s wine and craft beer industry, it’s oddly lacking in other food FMCG manufacturing. Especially for products considered ‘commodities’. But surely these are the products that require brand differentiation the most?